Along with the development of human civilization, the number of waste paper has a gradually increase trend every year. It is seen everywhere. Many ways have been researched to recycle the waste paper, while the waste paper has been polluted and there are many toxic substances contained, so it is not good for people to have a direct contact with it again. Thus, it is a good choice to have a try to make biomass pellets from the waste paper. Another form of paper is the cardboard. The amount of paper and cardboard in the country is enormous, and the paper and cardboard waste that go the landfill sometimes are exported to other countries. Recycling paper and cardboard is quite the obvious option, but why not be creative and use them heating your house. It is best to try and use it locally instead as the great materials for pellet mill. The waste paper can be turned into pellets to power boilers. Apart from being used in large scale boilers, in some cases, they can potentially be used in small home pellet stoves or boilers. When waste paper is made into biomass pellets, it can be used as one green and renewable energy resource with a wide application. 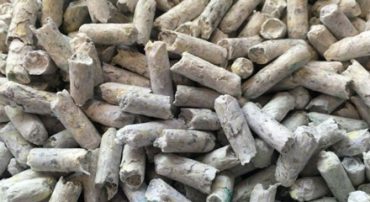 The waste paper pellet is a high efficient fuel that plays an important role in family heating, cooking, generating electricity, or as industrial fuel. They can discharge as high calorific value as possible, little smoke and ash left. That is to say, the utilization of waste paper pellets can not only create great economic benefit, but also save a lot of labor. 1. Quality: Paper pellets are made to meet the quality demands of the energy system. They are very dense, and the Btu content is similar to coal. The dry processing gives them extremely low moisture content. 2. Cost: The price of paper pellets is one direct benefit and a main lure for customers. Transportation is the highest cost component, therefore, the distance of your industry from the pellet manufacturer may be the biggest determinant of its economic value. 3. Environment: Paper pellets have less sulfur and produce less carbon monoxide than coal, which makes them a little more attractive. Compared to wood, paper has less formaldehyde. Besides, using recycled paper for pellets is effective in reducing landfill waste. 4. 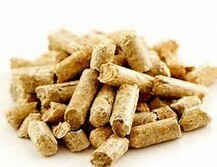 Lubrication: Paper pellet dust can lubricate the burning system. It is found that paper pellets absorb some of the moisture on coal, allowing the coal to flow more easily on its way to burning. Paper pellets are typically mixed with coal or wood before being conveyed into the boiler. Co-burning paper pellets takes a little more effort than burning a single kind of fuel. Yet, for the company that wants to save money, develop the region’s economy, and improve some of its fuel handling, it may be the right choice for the fuel needs. To process the waste paper, the pellet mill is necessary. There are some essential matters to be paid attention to. 1. No using the office paper shredder, because the paper pieces are not small enough to use in the pellet mill. In addition, office paper shredder is not built to handle the capacity required to make paper pellets. 2. Using a hammer mill to shred the old documents is a good way to prevent identity theft. They will be unreadable after shredding. 3. If the pellets are too wet to burn well, try letting the shredded paper dry out before feeding it into the pellet mill. According to World Forest Industries, the moisture content should be between 10 and 20 percent for optimum results. 4. Shredding paper to the required size will create a lot of dust. Wear a mask to protect your lungs. Use the shredder and pellet mill in a well-ventilated area to avoid combustion of the dust. As a burgeoning industry, waste paper pellet mill will keep this trend in the future. 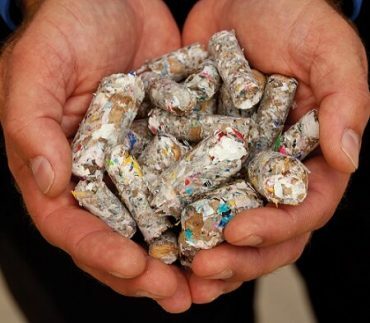 Paper pellets will be advocated for a long period due to its renewability and friendliness to the environment. For families, pellets are easy and cheap to get and produce for home heating, for factories or companies, pellets producing allow them making profits. All of these factors will accelerate the development of waste paper pelleting machine with a bright future. Considering the need of customers, our company has developed the pellet mill for waste paper. Equipped with advanced technology, the machine can efficiently transfer waste paper into pellet, which is a green resource to the society and environment.